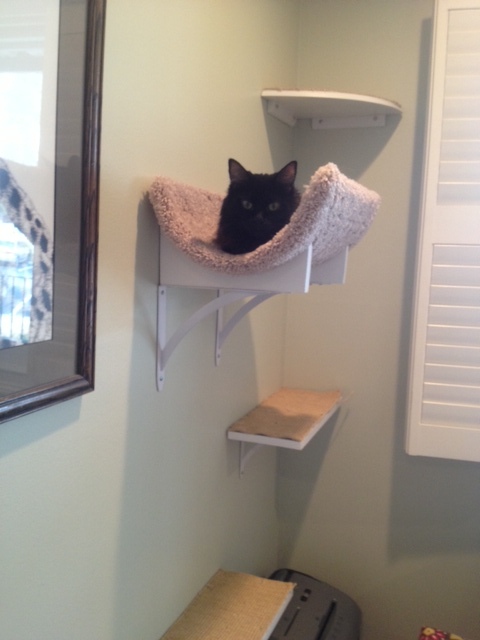 This family spends a lot of their time in their den and wanted to make it a safe haven for their many rescued cats. Note the scooped beds and perches on either side of the window and the long sisaled run across the top of the picture window! 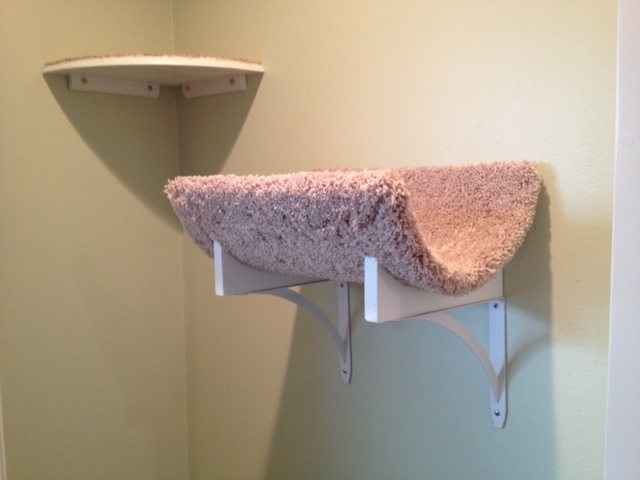 A close up of a modified version of our scooped beds, reinforced to accommodate a few very large felines! 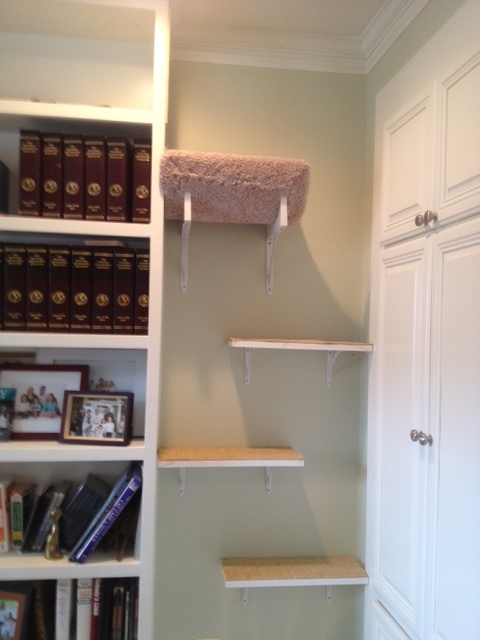 Sisaled steps going to top shelf of book case, so cats to run through to the sisal run above the window! Here you can view the series of steps leading to run across window. 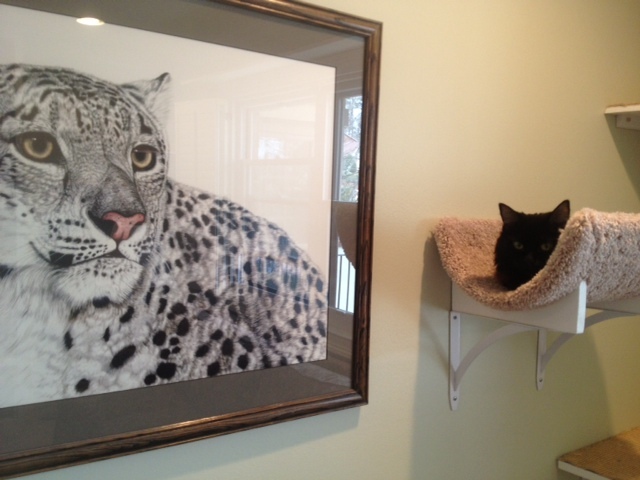 Eclipse, testing out a bed and feeling like a big cat! Previous Post: « A Nestle Quick container? Why yes!